Ali Health: A Revolution for China’s Healthcare Industry? Led by Alibaba, private-sector players are threatening a major shakeup of China’s healthcare sector. Private-sector actors in China, led by Alibaba, are taking significant steps to do what they believe will earn a handsome profit in the growing Chinese healthcare industry. With a market expected to reach one trillion dollars by 2020, companies are working fast to secure their slice of the expanding Chinese healthcare pie. Ali Health, Alibaba’s healthcare subsidiary, has pinpointed the prescription drug market as a potentially significant source of earnings. 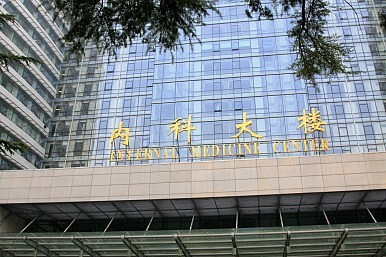 Today in China, hospitals sell almost three-quarters of all medicine prescribed in the country. This de facto monopoly in prescription drug sales contributes significantly to inflated prescription drug prices for patients and incentivizes corruption, as Yanzhong Huang explains in his book Governing Contemporary Health in China. The hospitals are not the only ones looking for alternate sources of revenue. Chinese doctors themselves are not paid salaries commensurate with the medical services that they provide. Thus, many Chinese doctors seek “gray income” to supplement their salaries. “Gray income” can come in the form of a so-called rebate from pharmaceutical sales companies. It is paid to doctors by a pharmaceutical sales company in exchange for a commitment that the doctor will prescribe that company’s products. To guarantee the pharmaceutical sales companies’ own profits, they then hide the so-called rebate in the sales price of the pharmaceutical product, which is the price at which they then sell to the hospital. As a result, before a drug enters the hospital, its purchase price is already significantly inflated. Alibaba and other players are hoping to benefit from the growing Chinese healthcare industry while searching for creative solutions to break the racket. Alibaba has piloted a mobile application that enables customers to upload a photo of their prescription and receive price bids from nearby retail pharmacies. Once the customer chooses which retailer they would like to use for that particular transaction, they make payment through Alibaba’s mobile payment system, AliPay, and the medication is delivered to their door. This application has been piloted in Hebei Province in cooperation with local governments. The prescription mobile application, called Alijk, has facilitated the purchase of prescription drugs often around 20 percent below average market prices, saving customers up to 50 percent in total spending. Alijk takes advantage of the widespread use of mobile phones in China and combines it with GPS technology to facilitate cost savings for the customer through the existing system of prescription drug sales. However, an Internet prescription drug marketplace, the company’s next goal, would disrupt the supply-chain entirely and offer an online prescription drug store, circumventing retail pharmacies and hospitals altogether. If it succeeds, Ali Health would hold a large share of the $149 billion market for prescription drugs. This would have the effect of cutting out some of the price distortions that drive up costs for everyday Chinese. Three factors must be taken into account before a significant shift in the prescription drug market can take place in China. First, doctors and hospitals will most likely oppose any licensing of Internet prescription drug sales as it threatens their ability to raise revenue. For example, in response to Alijk, some hospital administrators have complicated the availability of an “uploadable” version of the prescription so as to create strong incentives to use the hospital’s pharmacy and preclude patients from using the mobile application. This resistance can be eased by reforming the provider payment system, so that doctors’ salaries are commensurate with the services they provide. Of course, this is easier said than done, but the revenue doctors need to support their families should not weigh so heavily on the wallets of the average Chinese national. Second, Ali Health could face competition from its counterparts at the intersection of technology and healthcare. For example, Tencent, another major Chinese Internet company, has added doctor appointment systems and payment services into its mobile chat application WeChat, invested in a health portal, and created an online healthcare service. For now, Tencent is mostly focusing on medical service payments, but it may yet try to enter the Internet drug market should it take off in the near future. Past experience in China indicates that a profitable market attracts a flood of competition. Perhaps a cooperative effort to combine Tencent’s service and payment platforms with Ali Health’s marketplace would benefit both the pioneer companies as well as China’s healthcare industry. Third, and finally, is the challenge of implementation. Ali Health and its competitors will need to develop an effective platform for sales together with reliable distribution mechanisms. The incentives for doctors to overprescribe, or prescribe certain brands of medication, can endure in an online marketplace system. Pharmaceutical companies will still be interested in offering financial incentives to doctors to prescribe their medication, no matter if the patient makes the purchase online or offline. Ultimately, if the Chinese government elects to grant licenses to sell prescription drugs online it will have profound implications for healthcare reform in China. Will Beijing opt to favor the status quo despite its inefficiencies, or will it begin to see that this seemingly minor issue of Internet pharmacy marketplaces demonstrates a need for more sweeping reforms to the Chinese healthcare system? We will have to wait and see. Ariella Rotenberg, M.Phil in Development Economics from Cambridge University, researches health in China. Peng Di, a graduate student from New York University, writes about health in China. Pharmaceuticals is a target industry under the “Made in China 2025” plan.